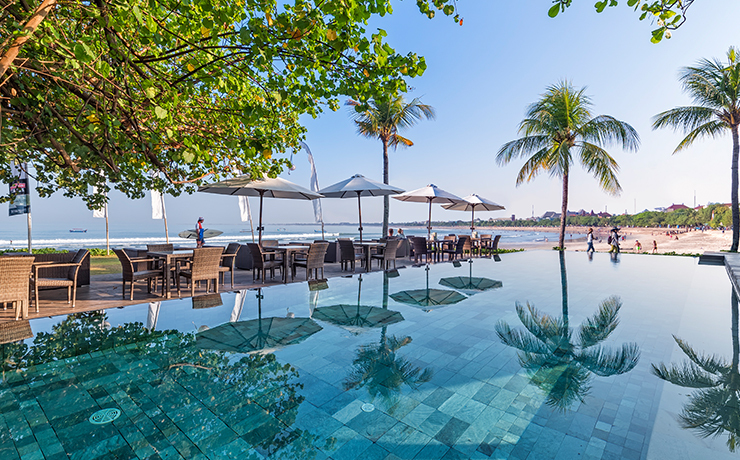 Beachfront on South Kuta Beach, the Bali Garden has long time been an Aussie fav with 3 swimming pools, 4 restaurants, 4 bars and a spa plus the style, service and warm welcoming smiles that make Bali famous, the Bali Garden Beach Resort offers fantastic value in a stunning location. Advertised price valid for travel 1 May - 20 May & 16 Oct - 10 Dec 19, hotel surcharges apply for travel 15 Jul - 20 Sep & 5 Oct - 15 Oct 19 add from $100pp, all dates subject to availability, higher priced airfares may apply to specific dates within this period when promotional fares are sold out. 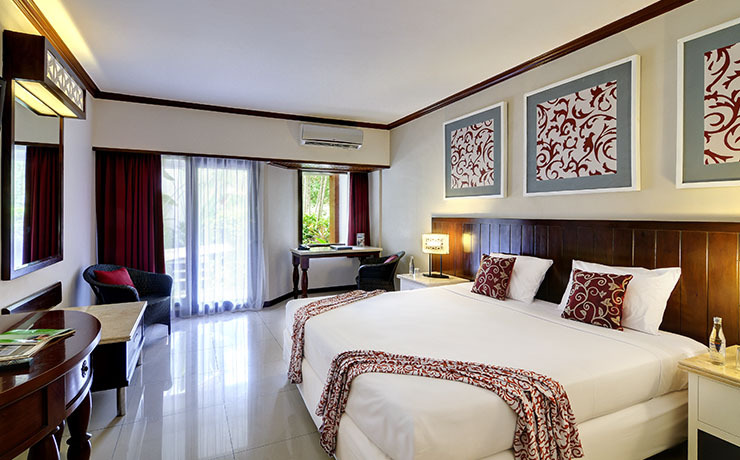 Enjoy all that beautiful South Kuta Beach has to offer with a stay at the Bali Garden Hotel. You'll fall in love upon arrival at this ravishing resort and be swept away by its two plus hectares of verdant tropical garden alive with colourful hibiscus, frangipani and towering palm trees. Take your pick from a Superior room, Deluxe room or Family room. With every choice you can enjoy a breezy private balcony, lovely decor and plenty of fantastic facilities and accoutrements. But if you want to treat yourself, opt for a deluxe or family room, both of which come with a replenishing full bathtub. Deluxe rooms face the gardens with a spacious terrace, while family rooms include a quaint private courtyard - what more could you ask for? 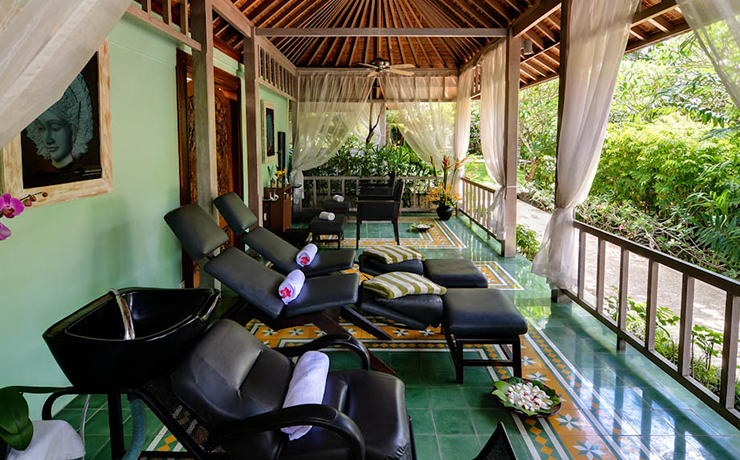 Take a trip to the resort's Tari Spa, offering relaxing massages sure to rejuvenate you, along with indulgent beauty treatments, too. Even the beautifully-designed surrounds will set you instantly at ease, with teak wood floors and calm blue and grey shades. Be sure to dive into one of the hotel's 3 swimming pools, and when you've splashed around enough to work up an appetite, pay one of the four restaurants and bars a visit. Savour smoked duck, chili crab and other wonders of Balinese cuisine at the Kafe Batan Waru or test your taste buds at the Ryoshi Japanese restaurant. 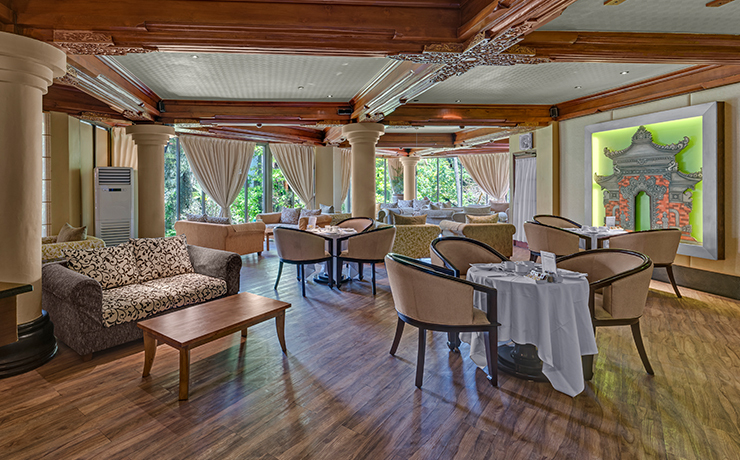 Then delight your senses at The Boardwalk beach side eatery or indulge in a tasty late breakfast at The Coffee Shop. Be sure to try all four during your stay! 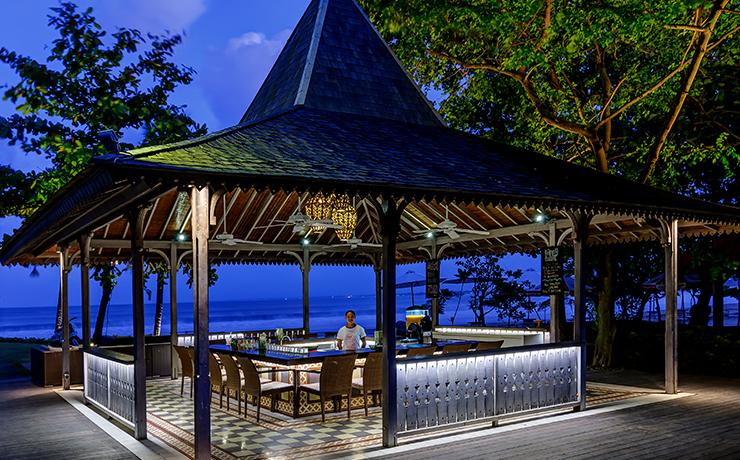 And for a tasty beverage or two, make sure you indulge at the Beach Bar. 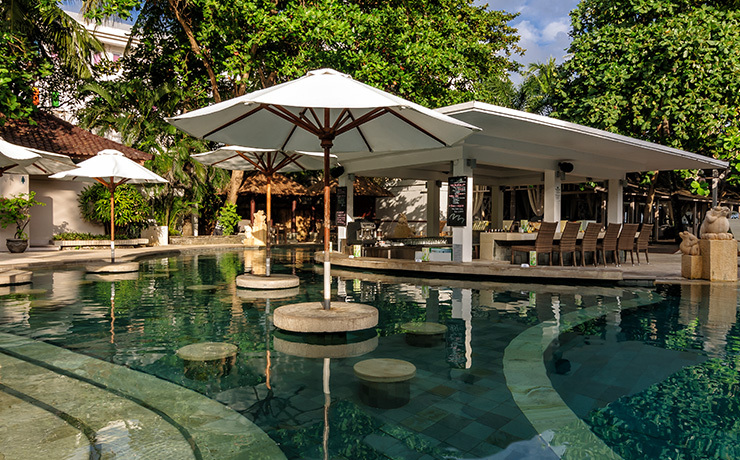 For the ultimate in tropical luxury, however, sip on a refreshing drop as you swim with the amazing Swim-up Pool Bar! 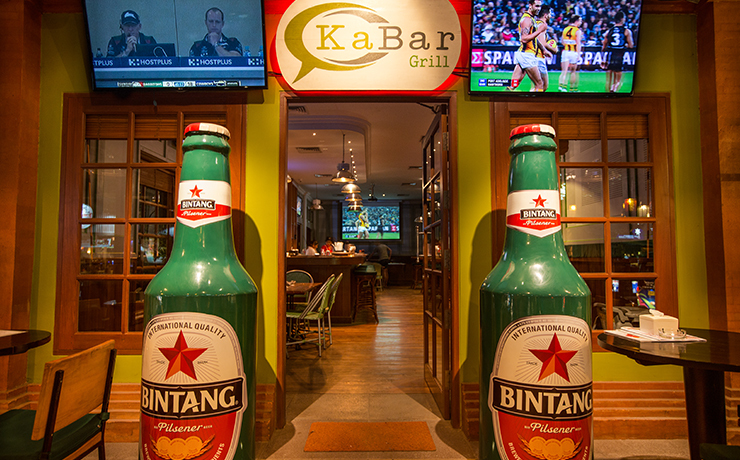 For fans of a good board game, round of darts or watching a sports game on a big screen television, there's the Kori Bar. Have a go at the fun activities on offer and see if you can land a bulls eye. 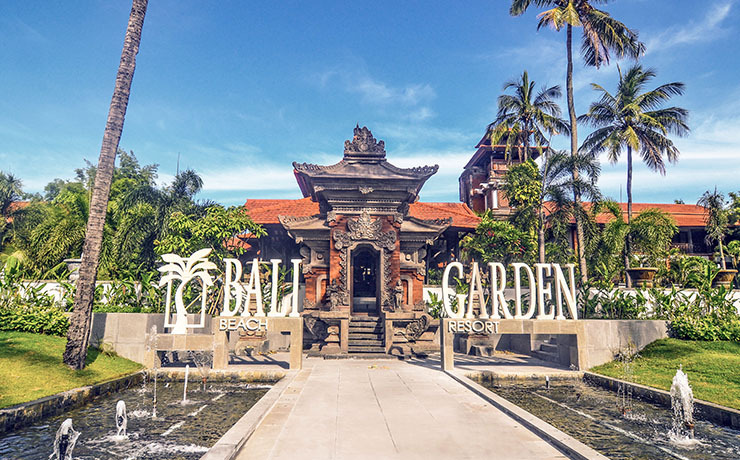 Bali Garden Beach Resort is located right on Kuta Beach next to Discovery Shopping Mall, across the road from Waterbom Park and a short stroll to the Matahari Shopping Square and the Seni Art Market and only a 10 minutes drive from Bali's Denpasar International Airport. A new, Zen-style spa is on Bali Garden's first floor. Tari Spa offers a range of professionally delivered relaxation therapies and beauty treatments for men, women and couples. Single and double treatment rooms are completed with teakwood floors offset by soothing gray and blue hues. Bathrooms feature beautifully designed solid stone sinks, marble surfaces and stone and granite floors with stunning private plunge baths, set in minimalist surroundings. 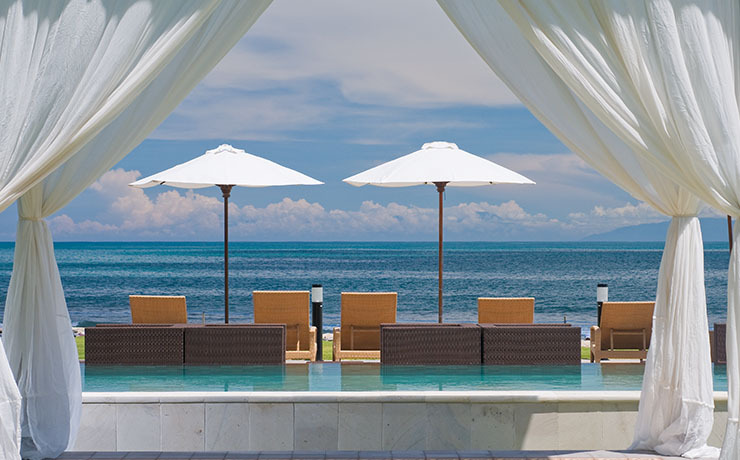 With 3 swimming pools, 4 restaurants, 4 bars and a spa plus the style, service and warm welcoming smiles that make Bali famous, the Bali Garden Beach Resort offers fantastic value in a stunning oceanfront location. 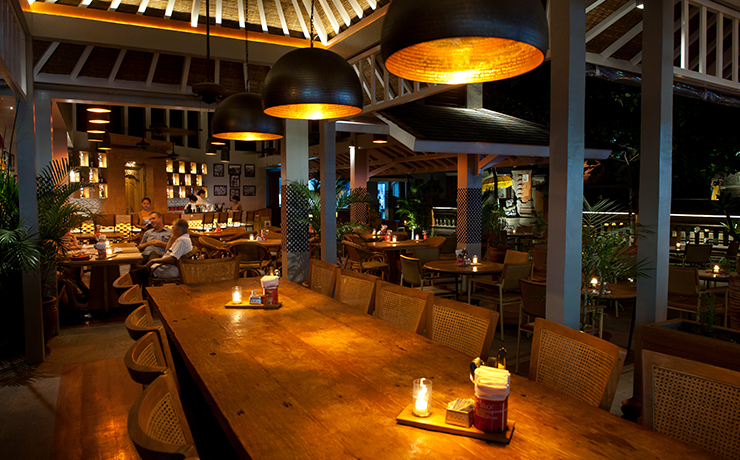 The resort offers a relaxed dining venue at the Kafe Batan Waru, known foremost for offering Bali's most interesting and delicious selections of Indonesian food and caters to all tastes. 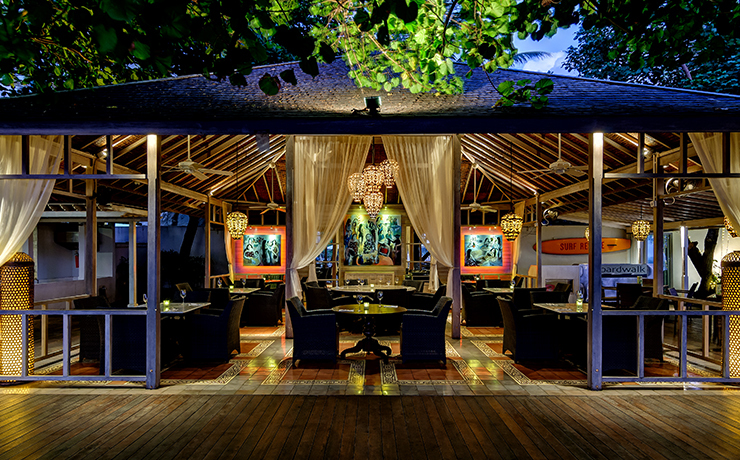 The Indonesian menu and daily specials feature the cuisine of the Archipelago. How about fish roasted in banana leaves, Balinese smoked duck or a Bali Fisherman's Dinner. Want something adventurous? Go for Manadonese Fish Head Soup and be sure not to miss Chilli Crab Night every Tuesday. Rice, pasta and bread lovers will find lots to eat for lunch and dinner. You'll see plenty of locals digging into our authentic Nasi Campur and Soto Ayam, rubbing elbows with their friends who prefer a grilled Panini sandwich or penne pasta with roast vegetables. 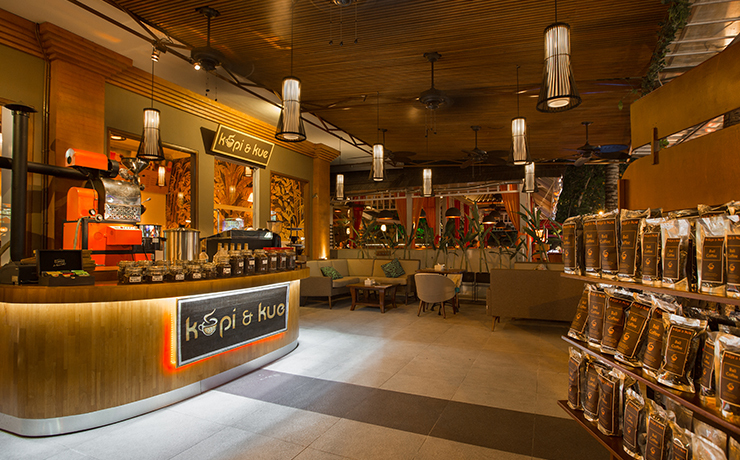 The Coffee Shop at Bali Garden Beach Resort remains our most popular dining choices. Breakfast is served until 11am for all those late risers. 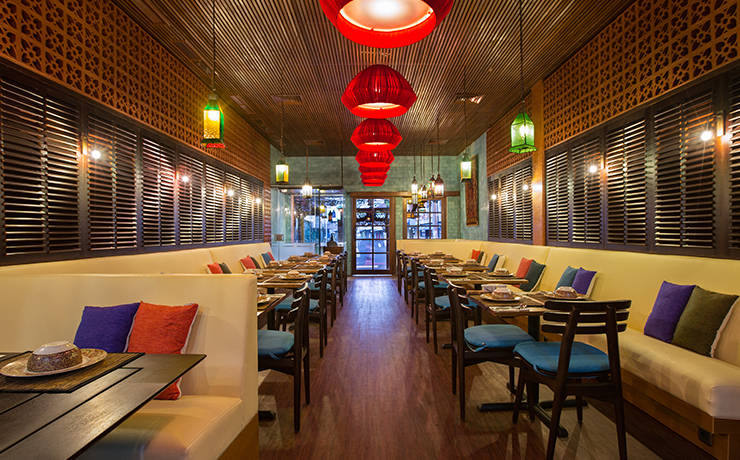 Ryoshi Japanese restaurant has long been a part of the Balinese dining scene. Ryoshi offers several styles of Japanese cooking: Sashimi, Tempura, Sushi, Mochi, Teppanyaki, Robatayaki and noodles. A great Japanese meal with simple, good food, pleasant presentation in a refreshingly cool air-conditioned atmosphere on the second level of Bali Garden Hotel overlooking the hubbub passing by on the street below. Ryoshi also has a sidewalk bar with stools to perch upon and watch the world go by. The Ryoshi menu is also available by room service. The Boardwalk is the beach side restaurant of Bali Garden Beach Resort or just north of Discovery Shopping Mall on the beach. Come and enjoy delicious Mediterranean cuisine in a relaxed, casual but stylish restaurant right on the water front. If you are still not satisfied there is always room service available from 6am to 10pm. Cool off with a cocktail or three at the Beach Bar or if you just can't stay away from the pool there is always the Swim-up Pool Bar. If you are looking for a little more activity the Kori Bar is located next to the hotel lobby and offers billiards, darts, board games and a big screen TV. It is the perfect place for drinks, lively conversation, getting to know your follow travellers and experiencing the undeniable excitement of a game of billiards or while away the hours on one of the most relaxing pastimes, people watching. 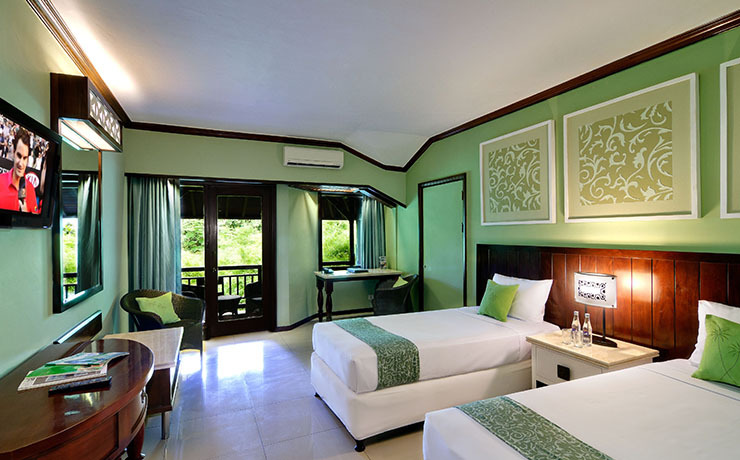 Each Superior Room is 40sqm including private balcony facing to the front of the hotel and overlook Jalan Kartika, the main road through South Kuta, Kuta Centre or Waterbom Park street side. They are located on the 2nd to 4th floors and are equipped with cable TV, IDD telephone, refrigerator, mini-bar and air-conditioning. Every service is offered to ensure your comfort and enjoyment. 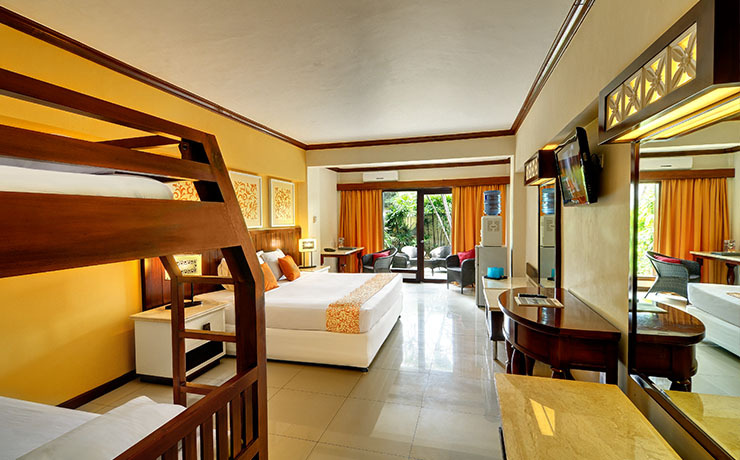 Deluxe rooms which face the ocean and gardens are the same size as the Superior rooms and are located garden side. These large rooms feature a spacious terrace facing the sea and/or garden with an additional feature of a table. The furniture is well appointed and complemented with remote control split system air-conditioner, IDD telephone, cable TV, mini-bar, tea/coffee maker, refrigerator, in-room safe, full bathtub with shower, hair dryer, iron & board on request. Family rooms, which can accommodate up to 2 adults and 3 children, are located on the ground floor and include a private courtyard. Tastefully furnished, each room is 40sqm including a private balcony, satellite television, refrigerator, in-room safe and full bathtub with shower. 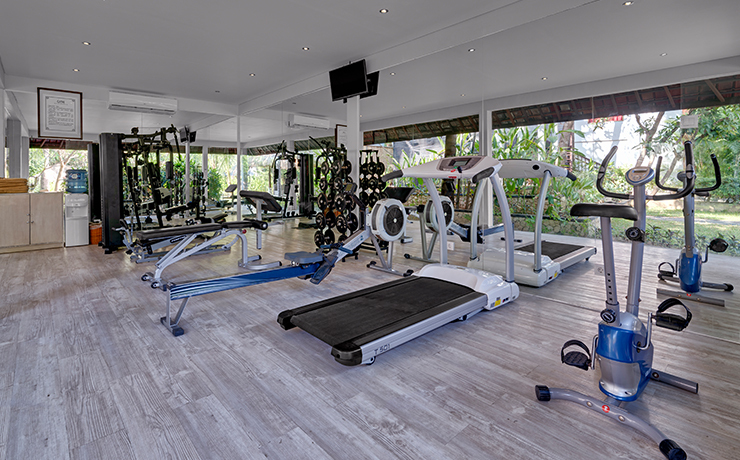 Air-conditioning is individually controlled and room service is available.